For a fee, Carfax provides history reports of used vehicles to buyers before they buy them. It's a pretty good service. But apparently it's a little too good for some. 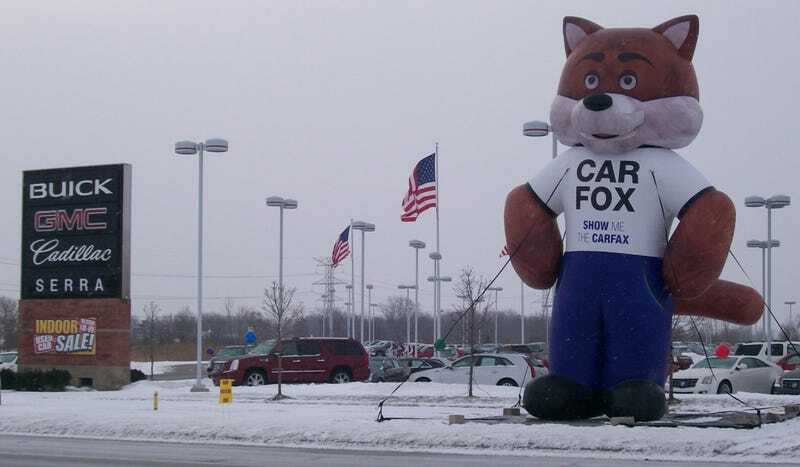 Carfax has just been hit with a $50 million lawsuit claiming they have a monopoly on vehicle history reports. The lawsuit, first uncovered by Automotive News, alleges that Carfax provides cash or non-cash marketing support to the automakers and classified sites where it has exclusive agreements. The dealers also say that Carfax overcharges them for reports, to the tune of $899 to $1,549 per month for unlimited reports depending on the number of cars in inventory. Other services apparently charge $16.95 per report or a flat fee for unlimited reports. Looking at the pricing listed that Carfax charges, it seems to be nearly in the same ballpark as $16.95 per report, if the dealer sells between 50 and 100 cars a month. There are a number of other niggling points, like 37 of 40 pre-owned programs require the use of Carfax reports, as do Cars.com and Autotrader.com. If you list a car on either of those sites, you can only provide a history report from Carfax. It is expected that more dealers will join the lawsuit, with another 25 to 50 getting ready to tack their names on as well.